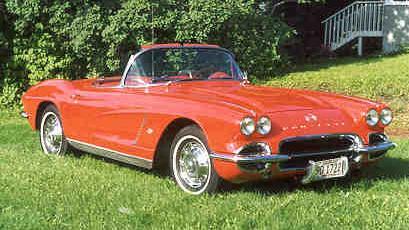 My main love with the older Vettes is the 63 through the 67 years. This is the years that they had the flip over lights. 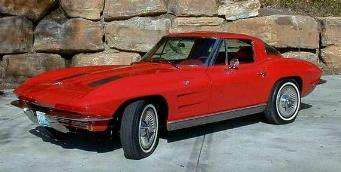 I think this is just one of the most classicly styled cars ever. It looks bad, mean, and classy all at the same time. This is one of the few cars that I think looks tough even if its a little beat up and dirty. It gives it a bit of a James Dean rebel look when its like that. 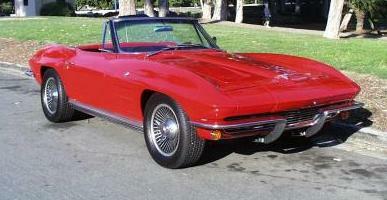 My favorite way to see it is in its convertible form, but the split window couple is equally impressive. these cars go for high $20's to low $40's depending on condition. I think I'd get one that needed a little work. I also really like the 57 through 62 years. My favorite style is when the inside of the cowls on the sides/doors are painted white. 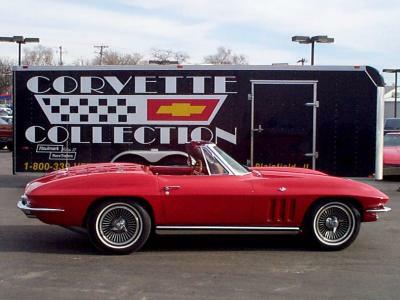 This is much more of a classic looking vette. My first choice would be the 63-67, but one of these would also be nice.